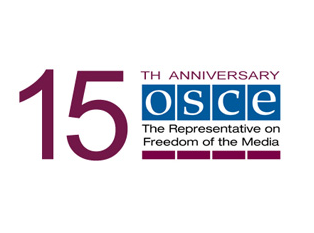 The following text is a guest blog entry at the occasion of the 15th anniversary of the Office of the OSCE Representative on Freedom of the Media at www.rfom15.org. The original post is available at www.rfom15.org/experts/from-quill-to-cursor-and-140-characters-christian-moller. When I first joined the Office of the OSCE Media Freedom Representative in the summer of 2002, a colleague of mine – a senior U.S. diplomat – asked whether I knew “how to google”. Well, I did. Among other things, I used the Internet and the WWW to communicate and to research current media developments: digitization and convergence, ownership and concentration, the independence of regulatory authorities as well as other pressing issues of that time, some of which are still valid today, others seem to be rather bygone. Neither YouTube nor Facebook nor Twitter existed. At the OSCE we used WindowsNT. Broadband access was scarce and Wi-Fi was a rare amenity throughout the OSCE region. Users discussed Napster or mp3.com and nobody knew what IPTV stood for. Two things we knew already, though: that the Internet would re-define the media world as we knew it and that the Internet is not immune to censorship. We wanted to believe that “the Net interprets censorship as damage and routes around it” – as John Gilmore, Usenet pioneer and co-founder of the Electronic Frontier Foundation, said in 1993 – but it dawned on us already that this belief was naïve. Access to the Internet grew, market entry barriers for media outlets crumbled, formerly scarce resources such as frequencies or printing facilities became increasingly obsolete, licensing regimes were questioned and new media developed, and fast. Sure enough, from the very beginning we also saw attempts to curtail and regulate the free flow of information on the Net – always one step behind the technical developments, but quickly catching up. Filtering and blocking of Internet content was discussed and introduced. Limiting Internet traffic across borders was considered and occasionally implemented, restrictive legislation was introduced. Sometimes even legitimate public policy interests such as countering hate speech or national security concerns served as pretexts to limit freedom online. Sometimes well-meaning legislation had unintended side-effects. Online censorship can also be surprisingly analogue: Online journalists have been arrested, harassed, beaten and killed; offices have been searched, computer equipment seized, servers shut down and premises sealed. In the fall of 2002, the Representative organized a workshop on freedom of the media and the Internet. The workshop was followed by a series of so called Amsterdam Internet Conferences and numerous publications such as the ‘Media Freedom Internet Cookbook’. When the first UN Internet Governance Forum (IGF) was organized in Athens in 2006 the OSCE Media Representative played an active role, co-operating with numerous other institutions such as UNESCO, the Council of Europe, Reporters without Borders, and Article19, and companies such as Microsoft or Google. Today, freedom of the media on the Internet is an integral part of all RFOM activities. While the Internet has evolved from a technical infrastructure to a vital part of our everyday lives, many of the principles we discussed and developed during these multi-stakeholder meetings are still valid today. Actually, it sometimes felt mind-bogglingly tiresome to discuss over and over again that well-established principles of freedom of expression offline are also valid online. The number of attempts to re-negotiate the human right to freedom of expression simply due to the emergence of a new infrastructure never ceased to surprise me. Web 2.0 and social media evolved and made it even easier to share information and participate in public discourse. “The people formerly known as the audience,” as NYU professor Jay Rosen put it in 2006, suddenly began to produce their own content, adding a new dimension to the public debate and forcing traditional journalism to re-define its role. Increasingly, corporations such as Google, Twitter and Facebook begin to assess their roles and responsibilities in safeguarding online freedoms. No one knows the direction the Internet and its applications and tools will take. In 2006 no one would have guessed that a service which allows you to send messages of not more than 140 characters to anyone and no one in particular will have a billion dollar IPO only seven years later. Two things, again, seem safe to say, however: The Internet is not free by nature, but by design and by enlightened decisions of legislators, the technical community and users. There are parts of the world already today where the Internet does not resemble at all the free infrastructure we learned to cherish. Also, technology is not just a value-neutral set of tools and never was. “Code is law,” and both legislators as well as engineers are shaping the Internet of the future. Which brings us to the second point: Freedom of expression online is not guaranteed. Defending the Internet whole and free is a continuous struggle, that needs to be led both online and offline. It includes regulation, technical infrastructure, security, access and content and cannot be left to one stakeholder only, but requires hard work by governments, industry, academia and civil society. *“From Quill to Cursor”, edited by Christiane Hardy and Karin Spaink, is the title of the first publication on media freedom on the Internet of the Office of the OSCE Representative on Freedom of the Media. Available at www.osce.org/fom/13834. In memoriam of my former boss and friend Christiane Hardy († 2013). This entry was posted in Internet Governance, Sunday Read by Christian Möller. Bookmark the permalink.